On special demand of our dear readers, Here are some tips on how to gain weight while living in a hostel , or PG . If you want to gain weight and you live away from your family, we have some special tips that will help you in increasing weight while living in a hostel. Hostel days are one of the most memorable points of time for most people who have enjoyed their college days or early-employment days in their own ways and have learnt to be self-dependent. Hostel life has its own charm- you get to know many people, make new friends and enjoy all the junk foods. However, hostel life is not so appealing when it comes to “eating delicious” and “eating healthy”. Hostel food is characterized by its monotonous taste and menu which may force many people to reduce their food intake. 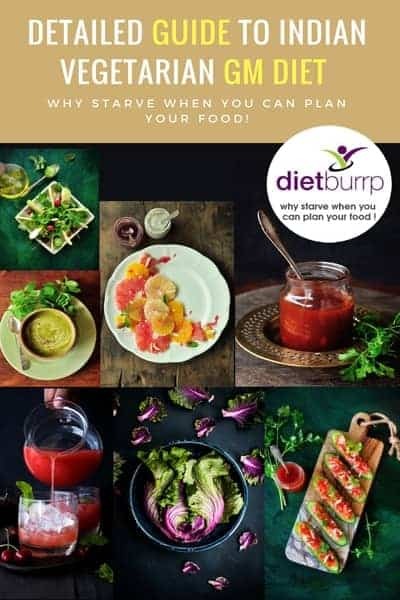 The same upma in the morning, the same tomato rice at lunch, and the same mixed vegetable and dry chapattis, days after days, may make you lose interest in eating healthy foods and shift to street foods or expensive junk foods that actually make you fat. If you are trying to gain weight, you should be trying to gain healthy weight and healthy fat and not bad cholesterol that will impact your cardiovascular system at a later stage of your life. A lot of you may be wondering how to gain weight while living in a hostel, there is no body to cook healthy for you. There are no elders to take care of your diet and you are forced to eat outside foods like cheese laden pizzas, ice-cream buckets, deep fried snacks such as cutlets, samosas, and kachoris. However, as I mentioned earlier, these are the items will make you gain the bad fat. These foods do not have any nutritional value and won’t impact you in any positive way. 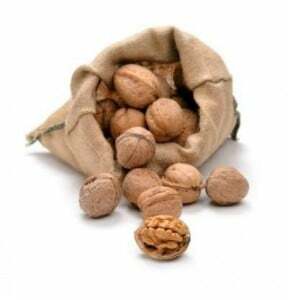 Nuts: Nuts are handy, do not require cooking and you can eat them anytime. Packed with Vitamin E, nuts are a rich source of healthy fats. They have a long shelf life and you can store them anywhere- at home, at your office drawer, in your college bag, or in your car. Nuts are always tasty and you may have them in interesting ways. Mix nuts with dry fruits, add almonds to your breakfast porridge or cornflakes, or enjoy a bread toast with peanut butter. if you find nuts very expensive , opt for groundnuts.They are cheap and very nutritious. Did you Know – An ounce of walnuts contains 175 calories, an ounce of hazelnuts provides 178 calories and 2 tablespoons of peanut butter supplies 188 calories. Healthy Fats: I know that you do not get any freedom when it comes to making a choice of diet while living in a hostel, but you can still introduce healthy fats in your diet at your own convenience. Avocados have high amount of healthy fats .You can prepare sandwiches with brown bread, raw cucumber, tomato, and onions and add avocados into it. Olive oil also provides healthy fat and you can spray a few drops of olive oil in your sandwich veggies to introduce olive oil in your hostel diet. Rice is what we all eat while dining at hostel mess. (Even a non – chef cannot spoil the taste of plain steamed rice .) Add a tsp of ghee to your rice. It will make your bones strong and help you put on weight . Did you know – and one cup of pureed avocado flesh provides 368 calories. So next time you visit a juice parlor, order avocado juice instead of orange or mosambi. Whole Wheat Breads : If You live alone and keep wondering what to eat at mid meal times or for rushy hours of breakfast when there is no one to cook for you, whole wheat breads are rescuers . Keep whole wheat / multi grain breads in stock in your hostel. 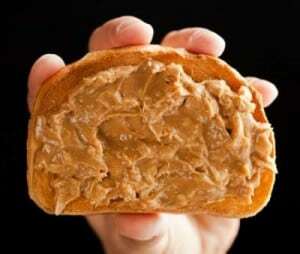 Start your day with a this bread and peanut butter breakfast. Whole-grains, as we all know, can help prevent heart disease and Type 2 diabetes. Did you know – 100 gms of whole wheat bread (3 slices) gives 247 healthy calories. 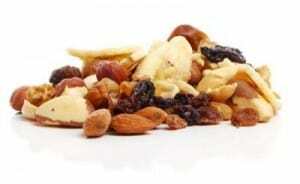 Dried Fruits: Dried fruits are handy snacks that can help you gain weight quickly and most importantly, healthily. They are non-perishable and hence, you can keep dried fruits in stock. You can find many creative ways to include dried fruits in your diet. Add dried fruits to a bowl of cornflakes or oats or just snack on dried fruits at any time of the day when you feel low. It feels really nice to munch on these delicious, healthy snacks. If you have to go for a sports trip, pack some dried fruits with you. They will provide you with a lot of energy. Did you know – A cup of dried apricots provides 313 calories and a cup of dried raisins has 493 calories. Milk: Milk has a high content of carbohydrates and protein which make it an ideal food to promote weight gain. Go for whole milk that has a higher fat content compared to skimmed milk. 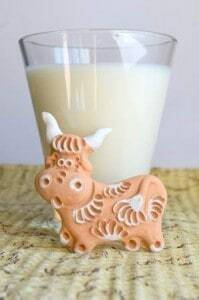 Today, milk comes in pasteurized form which is ready to drink. You may not choose to boil milk. However, many of you may like to drink hot milk with Bounrvita or Horlicks and I can suggest an easy way to you. Buy an electric kettle and use it to boil water or milk in your hostel room. Also buy tetra pack milk as you do not need a refrigerator to store them. Did you know – If you drink 2 glasses of milk per day, you will get 14 grams of protein daily. Adding 2 tsps of skimmed milk powder to your glass of milk will further enhance the protein content. Eggs: Eggs are awesome sources of protein. 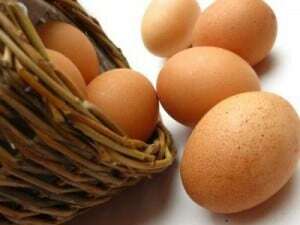 Eggs are rich sources of vitamin A and vitamin B12. The most convenient way to add egg to your hostel diet is to have it in boiled form. Use your electric kettle to boil eggs. Enjoy it whenever you feel like or pair it up with a whole-grain breads. Did you know – 1 large egg gives around 80 calories and 8 gms protein. Energy Bars: Energy bars are packed with nuts and calories which can promote weight gain in a healthy way. Choose the ones that contain low sugar content. You may use it as your handy evening snack when you return from your office or college. Banana: Banana is one of the most important foods that promote weight gain. A source of instant energy. They also have a high carbohydrate content which makes them a must-have post-workout food item. No wonder why we often see tennis players eating bananas in between the matches. Did you know – A single large banana provides 121 calories. and 1.5 gms protein. club it with a glass of milk to provide more proteins to your system. Butter: If you are a fan of butter, then you may not try that hard to put on weight. It is a fat-rich food. However, make sure to eat in moderation as a high percentage of butter contains saturated fat that may lead to cardiovascular diseases. Did you know – 1 gm butter provides 7 calories . Soya Bean: We all know the benefits of soyabean . the good part is , the chunks are not very expensive and a lot of hostel mess make sabji out of soya bean chunks. It up to you to make sure you eat it . you can also get roasted whole soyabeans and keep it handy for mid time munching. Besides allowing you to meet your daily protein target, soya beans can also help you lower your blood cholesterol levels. Did you know – Every 100 grams of soya bean will give you 36 grams of protein. Whey protein Powders : Consuming whey protein is one of the fastest ways to gain weight. You can increase you protein intake by 50-150 grams by consuming whey protein daily. It gets digested very fast and comes in a very pure form. Add whey protein powder in your milk and enjoy a delicious milk shake at any time of the day. Laddo : Yummy is the word for laddos. the best part is you can have your mom or grand mother make a full dabba for you when you visit home. ask them to add a lot of badam, Grated dry coconut and gum to it along with their love. every time you eat a laddo, you gain a lot of calories , nutrients an feel ” Maa ka pyaar” . So not a bad deal at all. Chikki : Chikki is another form of yummy whole some food. these are easily available in the market , so next time you run out of your stock of laddos, buy ground nut chikki or dry fruit chikki or roasted channa dal chikki. make sure you buy the ones made from jaggery rather than buying the ones made with sugar. Roasted channa dal with jaggery – Roasted channa dal reminds me o the vendors who stood outside our school premise to sell those bright green and red colored grams. these red and green ones ofcourse are fried . hence opt for roasted channa dal , it is super healthy and protienicious. when you eat it with jaggery , you can add some taste to these along with good iron content, which is required to increase the muscle content in the body. Gaining weight may prove to be very easy for some people who complain about their body shape and hard for some people who also complain about their body shape. Most people succumb to unhealthy practices to lose or gain weight and this is something that they need to rectify. There is no quick way to get results. Everything takes time and you need to adopt the healthiest ways. After all, you should be healthy from within in order to look healthy from outside. So now that you know how to gain weight while living in a hostel, do share your experience with us . Please feel free to leave a comment if you have an questions for us. « Is Indian Food Healthy ? Please help me .anything i eat i mean even if i drink water my stomach gets heavily bloted . Its gas in my stomach 24*7. I cant drink milk or any spicy food or potato. Due to gas food doesnt digest and i have to go to loo immediately after eating. Have taken lots of medicines but of no use. i need to increase weight by 15 kg what to do..? Hi, Thanks for reading at dietburrp. weight gain is a tricky process. you need to balance with calorie intake while making sure that the calories comes from healthy protein foods. the diet chart mentioned in the above article – http://www.dietburrp.com/indian-diet-plan-for-weight-gain/ is a perfect way to provide healthy calories to your body. Hi madam my age is 26 but my weight is 32 how can I gain weight. 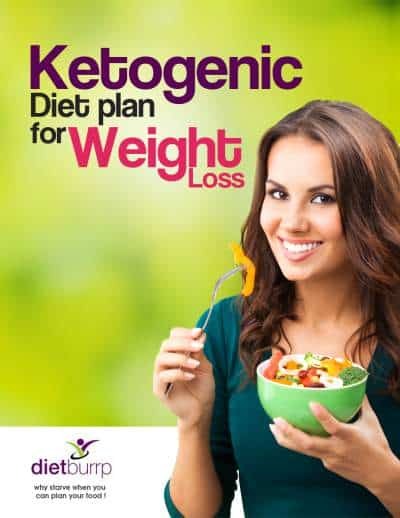 mam i am a 21 year old female.my height is 5 feet 6 inches and weight is 56 kg.although i want to gain some weight but loose the belly fats that i have.Will this diet plan help me up in doing so? Hello mam. I am a 18 years old boy and my height is 6ft. My weight is just 65 KGs. No matter how much I eat i am not able to gain weight. Please help me out. Thanks and regards. please name the supplements you are talking about . Mam my age is 21 and my height is 5’4″. And my weight is 38kg. How can I gain weight? I live in hostel so will you plz give me diet according to that. Hie Ma’am. I’m 26 and i weigh only 34kgs. I’ve got a full body check up done, but no diseases no issues. I have a heredition of beinv skinny. But i want to gain weight urgently because i have to clear medical tests to get a job overseas. Please help. My day starts from 8am ends at 9-9:30pm. I can eat at work anytime. I’m lactose intolerant. hello mam.am 21year my weight 40kg my height is 5’2inch.am tired to gain my weight.having foods its gaining but suddenly i got white dispose so its losing again.let me how gain weight,& am staying at hostel so guide what kind of diet i have to maintain.one important thing i am getting marriage also this year end. Hie mam I am 22 years old female weight 38kgs and height 5’1″ want to gain weight as I am leaving in hostel. My weight is 55kgs and my height is 6 feet 2 inches…..
How can i increase weight…. Are you doing any strength training exercises ? Hi Punit , are you into sports ? you can follow the tips mentioned above in the article if you are an hostelite. Hi Mam , i am 21 year old and 5.8 inches and weight is 59kg only . 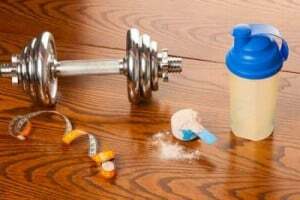 Before going to gym you can have a glass of milk with protein powder and 2 bananas . and post workout , you can have protein shakes / egg nogs , that is milk and egg boiled together. or just boiled egg whites , or egg omlette , or a smothie. Hi mam this is Umamaheshwari.Now iam 19years old but my weight is 35,my height 5 .mam could you please suggest me proper diet to gain weight.i live in hostel Please replye mam. What tested are required to find digestive enzymes deficiency. the tests will depend on the symptoms . and a doctor is a better person to help you in this regard . yes it does. you can . My bestie is suffering from Stomach TB. Her age is 19 weight is 34 so sill you please help me. How to gain weight for her?? Please tell me mam..